It’s inevitable that your business will suffer from negative employee attitudes at some point, but it’s what you do to counteract it that can make or break the situation. Whether you’re dealing with general poor moods due to circumstances beyond your control to some worksite incident that puts a pall over your personnel, quick action is necessary to turn things around. If negativity does spread, you can expect more damaging consequences to hit, such as high employee turnover, decreases in productivity and an impact on your bottom line. Utilize some tips on workforce management when your team is less than enthusiastic and you’ll soon have things running up to speed. The ground zero cause of bad employee morale may not be immediately evident, but you should be able to boil the situation down to a person, department or event. Get to the root of the problem before addressing employees or taking action to thwart negativity among your team. You might end up feeding the flames if you proceed without understanding the underlying circumstances. Rather than looking down at your workforce from a perceived high level of untouchable management, create a personal connection with your employees. You can show empathy with their situation without sacrificing the respect they have for your position. Showing unity with your personnel fosters the impression that you mean business with getting morale back on track. 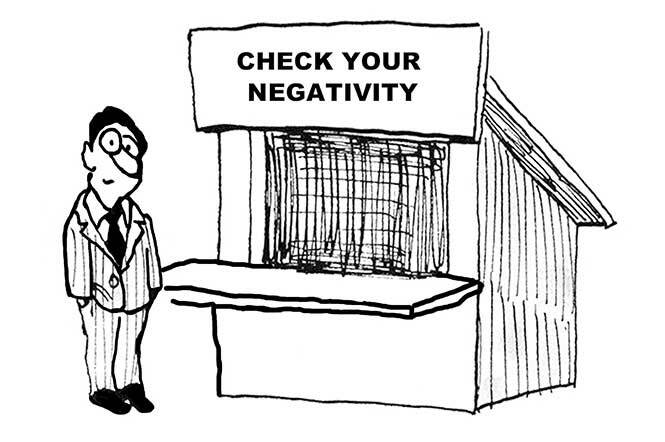 Turn around employee negativity by showcasing the positive efforts made by your team members. Whether you’re announcing a new incentive program or simply calling out the achievements of one department, use a company-public forum to recognize their accomplishments. Doing so will inspire others to focus their negativity on more useful pursuits. Your team takes on many of the qualities of a family or other close knit group, so bringing in outsiders can result in bad morale. Address this type of negativity before it starts by prioritizing current employees when seeking to fill a position. Not only does this type of workforce management tactic nip poor morale in the bud, but you also motivate your personnel. There are many different views on how much socializing you want your team to engage in, but strong negativity among your employees may require you to encourage some fun. You might choose to invest in a company retreat, but there are other ways to engage in team building efforts. Buy lunch for the group when they hit a goal, organize post-work functions or do other activities that engender mingling. You'll get nowhere if you respond to employee negativity by increasing your presence around their work space and interfering with their daily tasks. Micromanaging is often a cause of bad morale to begin with, so it makes no sense to respond to the situation by looking over their shoulders and getting involved with minute details. Of course, the circumstances don't warrant you taking a step back from workforce management; it simply means you need to allow your company to operate without the nitpicking and practices that are nothing more than a distraction. Negative morale in the work environment can be contagious, so it’s important to spot the signs early and stem the damaging effects. You can’t always prevent the circumstances that lead up to a general feeling of depression among your team members, but you can use workforce management solutions to respond to the situation effectively and efficiently.